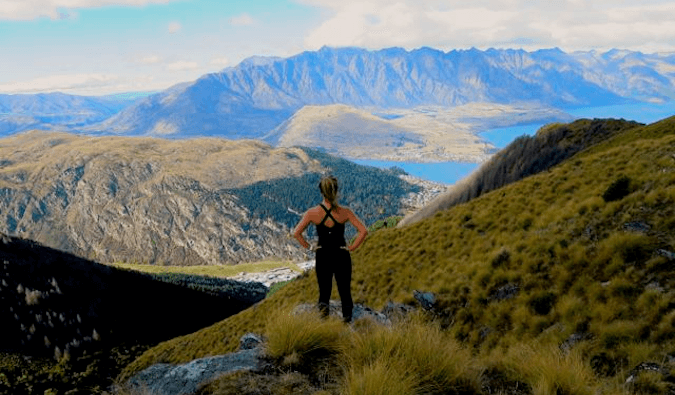 There are many ways to live and work overseas, from volunteering to working on a yacht, in a hostel, to being an au pair or teaching English, which is one of the most common ways people find work overseas (at least for native English speakers). Teaching English in Spain is one of the best ways to earn an income as a traveler, live in an awesome country, and get a European visa! How do you teach English in Spain? Today, I want to share Cat’s story, a 30-year-old American who fell in love with Spain while studying abroad, began to work, fell in love with a Spaniard, and now runs her own company there. It’s easy to go teach in Asia, but teaching in Europe can be a little harder. I wanted to find out how she got started and what advice she has for anyone looking to teach English in Spain. Nomadic Matt: Tell everyone about yourself. Cat: My name is Cat Gaa, and I’m a recently-turned-30 lover of historical fiction, train rides, midday siestas, and all-beef hot dogs. I’m originally from Chicago by way of Michigan and Iowa but have called sultry Seville, Spain, my home since graduating with a journalism degree in 2007. Spanish was my star subject in high school, so my mom was eager to send me abroad during college. She’d spent a semester in Rome in the ’70s and made me promise to go abroad for at least a summer to improve my language skills. Those six weeks studying in Valladolid had me craving a life in Europe after graduating. After looking into work exchange programs in the UK and weighing a radio job offer in Chicago, I couldn’t stop thinking about Spain. 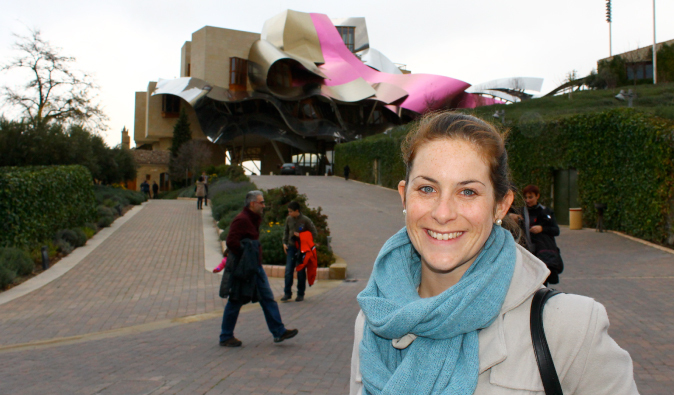 The study-abroad office at my university steered me toward a bilateral assistant teaching program between the U.S. and the Spanish Ministry of Education, and I swore that I’d take a position if offered. Five days before my college graduation, I was accepted to teach English in a school somewhere in Andalucía. Even coming from a family of teachers, I was apprehensive but excited. One year stretched into two, and I’m now starting my ninth year as a TEFL professional. I spent the first three years as an auxiliar de conversación, or an English language assistant, at a high school in rural Andalucía. I was provided with a student visa, stipend, and insurance, which I could renew for up to three terms. I realized quickly that teaching fit my outgoing and creative personality, so I decided to try to stay in Spain for a fourth year, since I had a boyfriend at the time and wanted to see where the relationship would go (spoiler: we got married in August 2015!). Faced with unemployment, I sent my CV to every school and language academy in Seville and the surrounding towns. I had the experience, but not all of the qualifications and no work permit. Thankfully, a private bilingual school was desperate and hired me after an extensive interview (three hours, plus two teaching trials!). I spent two terms working as a first-grade classroom teacher. I was largely underqualified, having never designed curriculum or dealt with major discipline issues, but I learned a lot. Unfortunately, the pay and treatment at the private school were horrific, so I began to look into working for an after-school language program. A friend touted her academy for its organization and holistic approach to teaching — something I’d been missing in my previous job — and the hours were far less. I taught full-time at the academy while completing a master’s program and maintaining my personal blog, then was offered the Director of Studies position after four months. The 2015-16 term will be my third as the academic director of the school. Is it easy to find work there? What skills or degrees do you need to teach English in Spain? As someone who has work permission, a teaching certificate, and years of experience, I haven’t had any problems finding gainful employment as a teacher. However, because I don’t have a teaching degree that’s been validated in the EU, I cannot teach at a public or semiprivate school without going back to school. If you’re new to teaching or lack the proper credentials, it can be more difficult. An easy way to get your feet wet is to come on a teaching program and begin earning years toward Spanish residency, or to do a TEFL or CELTA course. Because of the global financial crisis, many are upping their skill set by taking English courses. This means that English language academies are popping up all over the place, though many are run by people who don’t speak the language or are not teachers themselves. This has created a language bubble, and it’s affected the sector negatively. Schools that don’t require experience or certification are likely less than professional, and you run the risk of being taken advantage of. Normally, EU countries tend to look for other EU citizens first. As an American, did you find that to be true, or is there enough demand where they look outside the EU for teachers? It’s true that many schools don’t want to risk hiring someone without papers — fines can be up to €30,000! — and would rather hire a European because of this. But, native-speaker teachers are a must for parents in Spain, so if you have experience, you have a shot of being hired under the table for cash. Obtaining work permission in Spain from a school is difficult because by law the employer must post the position in a public forum, called the bolsa de empleo, for three weeks to prove you’re the most qualified for that position. Once the three weeks are up, the most likely scenario is that you’ll have to return to your home country for 3-4 months to process the visa. What is life like in Spain? Phenomenal. Fun. Vibrant. Challenging. What stands out to me the most is how regular my life feels in Spain now that I’m established, fluent in español, and have a job. I know how to do more adult things in Spain than in the United States because I’ve lived my grown-up life in Seville! The biggest difference is that I do it all in Spanish. I have I-hate-Spain days more often than you’d imagine (mostly due to long lines, bureaucracy, and the haughty attitude of sevillanos), but the quality of life here is far better than in the US. I relish in riding my bike to work and buying cheap produce, as well as the local culture and the accessibility of travel. My first few months in Spain were extremely shaky, though. I was struggling with the language, and my confidence disappeared. I could barely work up enough courage to call and order a pizza, let alone open a bank account or apply for my residency card. I also had no one to vent to about my feelings and often felt alone. Calls home did nothing to make me feel better, though I never once considered going home. I don’t feel homesick any more. Spanish cities have become increasingly international, so when I need an English fix, I can call up a friend for coffee, see a flick in its original version, and even buy ingredients for a peanut butter and jelly sandwich. My advice is to be open to an immersion experience that also includes speakers of your own language. 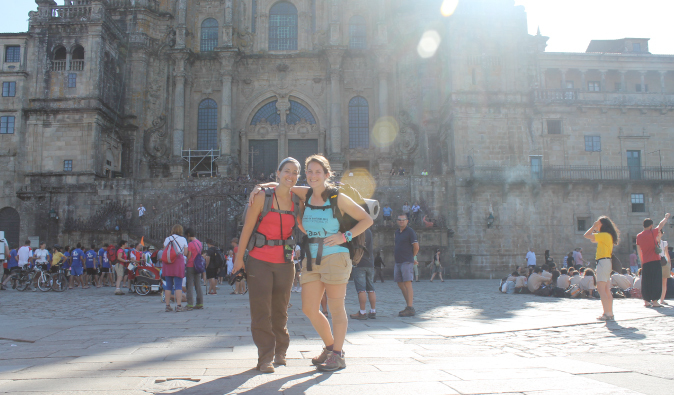 Look for groups like Internations or informal language exchanges, called intercambios. What advice do you have for anyone looking to teach English in Spain? Coming to Spain to find work without a visa or on a teaching program is a solution for many, but long-term it can hurt your chances for residency. There are many ways to legally come to Spain, so do your research! Once you have an avenue, get the certification. A CELTA is more highly regarded than a TEFL degree because it’s more rigorous, but personality counts for me, as well. I am responsible for hiring teachers for my language school, so experience and adaptability are important. Madrid and smaller villages with fewer English speakers have more opportunities for teachers. After snagging a job, remember that there’s a three-month test period, so don’t rest on your laurels! Be sure to understand your contract with regard to salary, vacation time, and unemployment so that there aren’t any problems with your employer. How does one get a job teaching if you aren’t in Spain? How can you find schools? What do you look for? Really walk us through the nitty-gritty! List any resources that are good too! Open season for English teaching jobs is always on, but most schools will do the majority of their hiring from April to June and September to early October. There is often a need for another teacher to take on hours at other times of the year, namely January. Most schools will ask for a CV, a cover letter, a recent photo of you and two references. Once you have everything prepared, you can send out blind applications to see who will bite. If you’re still home, also add a projected date for when you’ll be in Spain. Don’t expect an email back if you’re not selected for an interview. If you haven’t heard from a school, politely follow up to request an interview. Talk up any experience you have; if you haven’t taught before, express your eagerness to learn and your flexibility — these are two attributes I look for in new teachers. You can find schools through Google most easily, as well as recommendations on sites like Tefl.com, Expatforum, and Facebook groups. Look for schools with a well-developed website and a strong reputation (newer schools tend to pay lower salaries and are more disorganized). What scams or issues should teachers look out for? Scams are generally not a problem in schools in Spain, though if you have the right to work legally, make sure to read your contract carefully. In fact, make sure you have a contract in the first place, and one that covers your health insurance and your vacation. Spanish companies reserve the right to fire you within 90 days of your contract start date if they deem you unfit for the job, offering no reason and no severance package. If you make it to the end of your contract, though, you will receive a bonus called a finiquito. This should also include any vacation days that have not been taken. Never pay for a position unless it’s with a reputable company (such as CIEE Teach in Spain) or a TEFL institute! I’ve heard of companies that recruit people under the pretense that they must pay part of their salary back to the head hunter. Given the number of jobs available, it’s best to steer clear of those. I’d also add to be assertive with your employer. I hear of many unhappy teachers whose employers ask them to take on more hours outside their contract to satisfy customers. If you feel uncomfortable, remember that your employer needs you more than you need them (and I say this as someone who operates a language school!). Why do you think teaching is a good option for people looking to live in Spain? Not everyone who has come to Spain to teach has liked their job, but consider this: you have a job working with young people with an awesome schedule and ample days off. Your students will take to you, no matter what. You can live in a country that’s beautiful, inexpensive for Western Europe, and full of things to see and do on your long weekends. Teaching English in Spain likely won’t cushion your bank account, the country is more familiar than, say, Southeast Asia, and it’s almost like a soft landing. I consider Spain a great place for TEFL teachers to get their feet wet before moving elsewhere. This is a growing sector and there are a lot of opportunities for employment. For someone looking to live and work in Spain (in general, not specific to teaching), what are three pieces of advice you would give them? In working with people interested in moving to Spain for a number of reasons, I’ve noticed that many seem to think that they can just show up and figure things out once they’re on the ground. While this is a viable option for some, it limits your movement around Europe and can hinder your visa options in the future. Research the many sorts of visas for Spain at your nearest consulate’s website, and you’ll be surprised that you likely qualify for many. That brings me to the point of coming legally. While there are ways to come illegally, find work, and eventually get residency, the rules are strict, and without a legal contract, you aren’t qualified for public healthcare or unemployment, nor are you able to earn days toward your pension and retirement. If it’s a risk you’re willing to take, then go for it — just know that the foreigner’s office can disqualify you for certain types of visas that way. Finally, remember that Spain is different. I find that those who come and leave quickly are the ones who complain that nothing is like their home country. I have a long list of annoyances in Spain, but if you can get past the weird banking hours, the long lines everywhere, and the late nights, you’ll find that Spain can be a fun place to live and work. 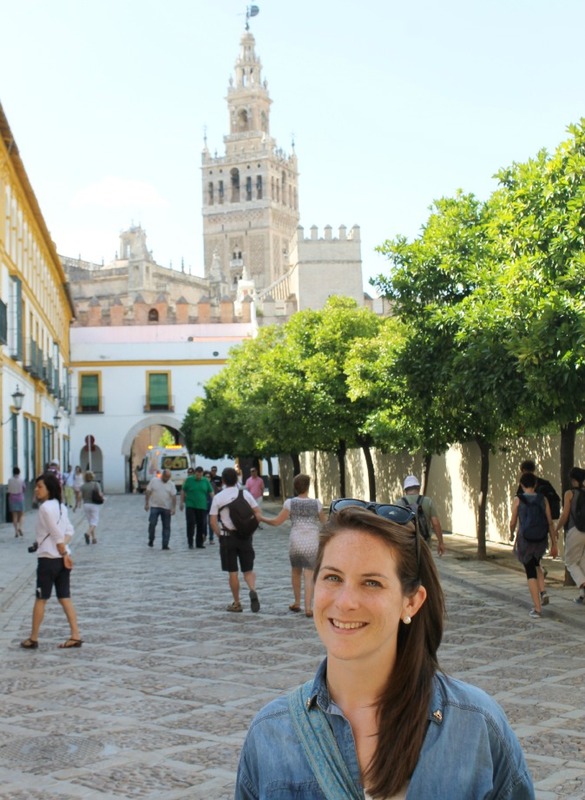 Cat Gaa blogs about life in Seville, Spain, and all that goes along with it at her blog Sunshines and Siestas — find her there to follow her journey teaching and living in Seville. And, if you are interested in becoming a teacher, be sure to check out my book, How to Teach English Overseas, which lays out how to become an English teacher, how to apply for jobs, breaks down country by country information, and also features interviews with other teachers and job recruiters! You don’t need to be stressed or overwhelmed about this process. This book shows you getting a teaching job is easier than you think! 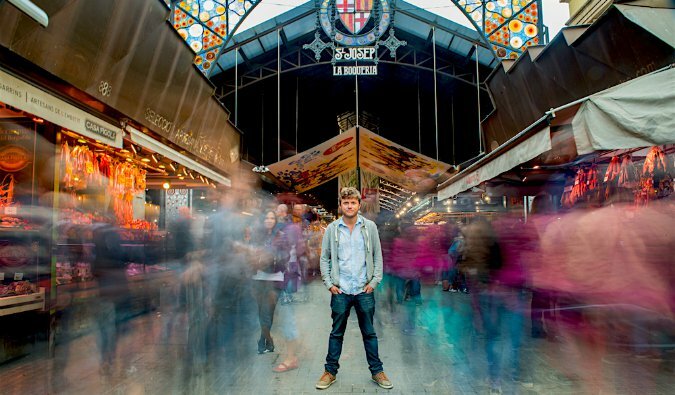 Kabul (Barcelona) – This was Barcelona’s first hostel and it’s famous for its huge parties. If you want to meet people and party hard, this is the place to stay! The Hat Hostel (Madrid) – This boutique hostel has free Wi-Fi, AC, and they offer a great breakfast (for a small fee). It’s in a good location and the staff is great too! Red Nest Hostel (Valencia) – This is a great social hostel and is a good place to stay if you’re traveling solo. It’s also in a great location. Looking for more information on visiting Spain? Check out my in-depth destination guide to Spain with more tips on what to see, do, costs, ways to save, and much, much more! Such a helpful post! I have always wanted to teach English somewhere overseas, hopefully one day I will. Hola Tess, definitely go! Teaching isn’t for everyone, but it’s worthwhile experience on so many levels. Good luck! Hi Cat! I’m a soon-to-be-graduate interested in teaching English in Sevilla. Is it okay if I ask you a few questions? Great post. I have seen and heard a lot of people teaching in SE Asia, but was not aware that there are many in Spain too. Thanks for the all info. Would love to visit Spain one day and maybe meet some of these hard working teachers. Good job! Hola Samantha, teaching in Spain is now easier for non-Europeans because of teaching programs and the need for qualified natives. 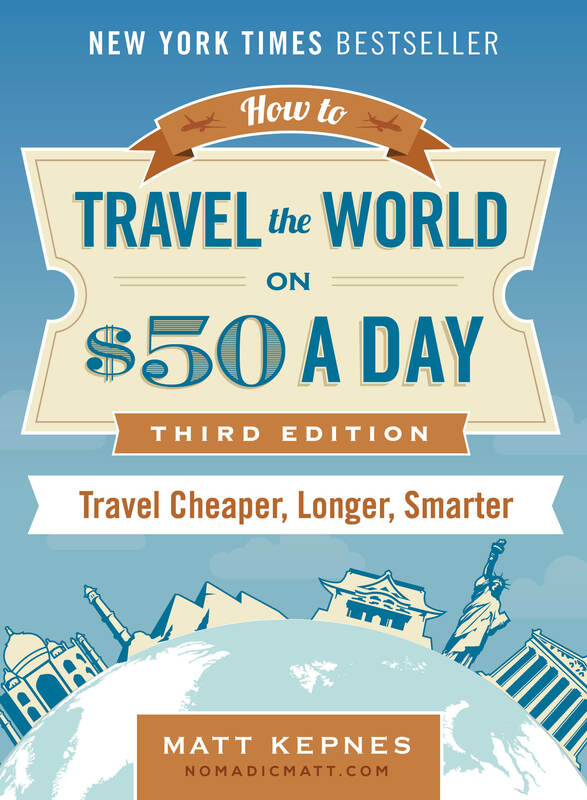 It’s not as lucrative at SE Asia, but living is cheap and vibrant! Look me up if you’re ever in Seville! I’m deaf and a college graduate with a bachelor’s in General Studies with a concentration in Communications. I sign primarily American Sign Language and am wondering whether there is demand for deaf Spanish students to learn English and perhaps American Sign Language (ASL)? Keep in mind, it’s typically easy for deaf people to learn sign languages from all over the world. I know one guy who knows over 26 sign languages due to his travels in Europe. Perhaps your question has been answered a long time ago. Spanish schools for the deaf teach LSE and then (usually) ASL as a second language along with the standard book English. It would be worth contacting the Deaf Associations in the area you are thinking of going to get information about schools and whether they need staff. Catalonia, Valencia and Portugal have different signs, although you will already know there are always similarities. Matt – thank you for sharing Cat’s wonderful story. What a brave and passionate chick- kudos to her for following her undeniable love of Europe and the Spanish culture. Siestas all around! Thanks for your kind words, Lisa! Facing a group of teens sometimes requires bravery, but definitely patience and a few eye rolls! Saludos. Hey Amy, it will be a great decision! I’ve gotten myself a job as a substitute teacher in Denmark, teaching English. Hoping to gain loads of experience so I can teach English abroad! What a helpful guide! Thanks for walking us through this experience, I hope to incorporate this into my travels someday! Teaching in Spain is currently on my bucket list. A good friend of mine taught for 18 months in Spain and loved the lifestyle, but wasn’t earning enough money for it to be worthwhile. What do you think is the minimum experienced/qualifications required to land a high paying teaching job in Spain? Hi James, teaching is NOT lucrative here, unfortunately. In many places, 1200/mo is an average salary, and only 10 months of the year. Wow Seville looks great. We should hopefully be heading to Spain next year, it would be good to have the opportunity to do some teaching! Thanks for the informative post. I have been looking at teaching in Spain, I completed a TESOL course in Bangkok during 2010 and I have taught in Bangkok too. I’m so glad I came across this article! My boyfriend and I are planning to leave Malta next year and teach English somewhere else, preferably in an EU country. Spain has been at the top of our list for quite a long while now, and I would love to spend a year exploring the region of Andalusia. The problem with teaching English in Malta is that it’s not exactly a well-paid job – you earn enough money to get by. On the plus side, some of the schools here are busy throughout the year, and most of them are always looking for new teachers. This article is great! I’m planning to go to France as an au pair and I would like to get in to teaching English there, too. Thanks for the tips and inspiration! A very informative article. Thanks for writing it. I’ve been an ESOL teacher for 17 years and would love to spend a year teaching in Spain. Do you feel this is mostly for young people closer to college age, or are there teaching opportunities for an experienced 50 year-old as well? Very motivating article! I am 35 and been contemplating to start a new life in Spain, although, I have very little savings I daunt to leave my $42,000 yearly salary. Another reason that holds me is my four dogs. I will never leave them behind. I just find it difficult finding a place that will allow me with my four-legged babies, and if there is, how much rent? I have a Bachelor’s Degree and looking into a certification to teach abroad. More less what is the salary pay, rent and so forth? Any advice is appreacited! Great post to read! Am Canadian living in London, England right now teaching and looking to get my TEFL certificate as well in order to live in another European country some day. Currently on a 5 year ancestral visa. Spain is definitely on my list. I’ll keep this in mind. Cheers! 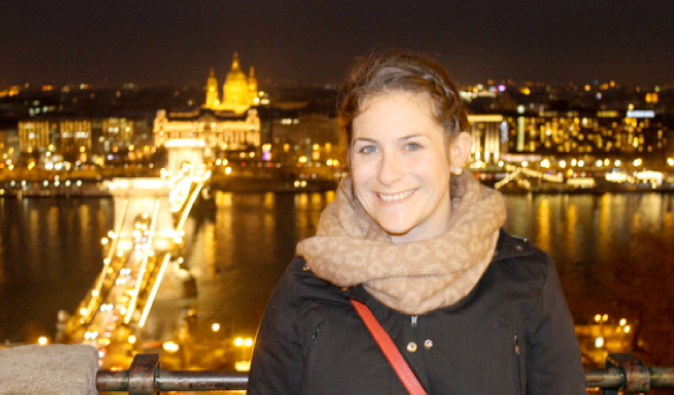 “A CELTA is more highly regarded than a TEFL degree because it’s more rigorous, ” I wanted to make a correction. I’ve heard this fallacious statement many times. I have a TESL degree which is neither and actually involves more hours of training and can only be obtained in Canada. Everywhere I went this was looked upon very favourably. So don’t fret over the letters you’re getting. What really matters is where you’re getting your certificate. CELTA is actually a TEFL certificate that’s been approved by Cambridge University, which means that the program has gone through Cambridge’s certification process to ensure that it meets the requirements of a TEFL degree. 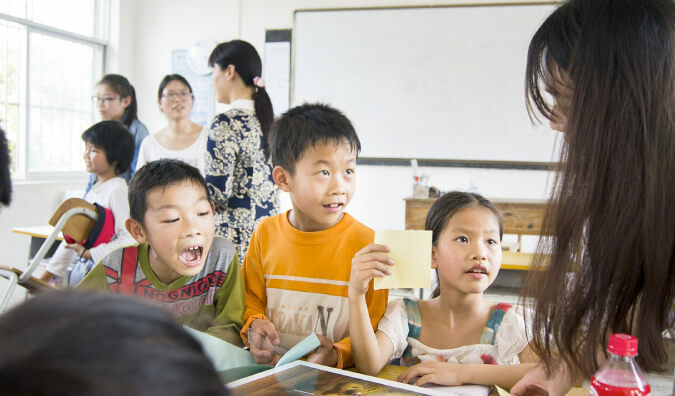 Other TEFL courses might be just as good, but you don’t have as much of a guarantee. I would research each institution carefully. If it’s not a fly-by-night place that just sprang up, it might not be a great choice as once they close down you won’t have anyone to back up your certificate’s authenticity. Having said that the real practical factor here is don’t be afraid to take a TEFL course if it’s cheaper than CELTA, the place looks good, and the instructors experienced and qualified. As an Spaniard. Here, the english is in real boom. There are a lot of students that want to learn english. There are even two ways to achieve an english title. The cheapest and difficult way in Official language school but has limited number of students very exclusive even you need a previous test to enter. The expensive and easiest way, the private academies. The easiest way to find a job in Spain is in Linkedin or in “InfoJobs. es”. In this Web Page, you will be informed of any kind of job every day in whole spain. You must register your CV in order to be selected but I assure you you will get a job if you are good. The case of living in spain, depends of were you want to live. There are rich regions with expensive houses. My region has the best salaries, expensive houses but the best food there are also beaches, however, climate is colder whole years. If you want real hot climate in exchange of reduce salaries and chequera houses, I recommend you south coast. However, if you want real tropical climate, I recommend you Canary Islands. Come and help us with English. Here, many companies demand English for Spaniards any help will be high valued in this crisis. Any thoughts on moving to Cadiz? I am an older guy (51), with a BA and MA in Japanese. I have taught Japanese (and a little ESL) in college and high school for about 15 years. My girlfriend and I are hoping to leave the US and try to find jobs in places like Spain, Italy, Thailand, etc. She is a Special Education Reading Specialist and also has an MA. What advice would you give an older couple for going abroad and trying to find teaching jobs? Do we need to be TEFL certified if we already have masters and have experience teaching? Thanks for any advice you can give. Gary, I hope you found the answer to your question, but if not, I thought I´d pipe in with an idea. I am 45 with no teaching experience (I was a lawyer). My husband is 54 and retired. I´m here in Spain teaching in the same program Cat discussed…the Auxiliares de Conversación program through the Spanish Ministry of Education, Culture and Sports. Pay is 700 euros per month (1000 in Madrid) which is plenty here. Especially with 2 salaries. We live in a smal town about an hour and 20 minutes east of Sevilla and an hour north of Malaga and we have a nice 3 bedroom apartment with all modern amenities for 350 euros per month. Smaller places were not available. I recommend ready about the program and applying. The application process starts in January. Good luck! I just wonder if any chance I can possibly apply teaching English jobs in Spain? Hi Cat, very interesting and informative article! I know too many of us might overwhelm you with so many requests for advice, but I think it is the closer we can get to something real. 😉 . I am originally from Mexico, born and raised, nevertheless I have been living in the United States for the last ten years. I don’t hold a Bachelor’s Degree nevertheless I have an ICELT certificate, before known as COTE certificate, tha is granted by Cambridge University. And I also have more than five years of teaching experience at different levels that range from elementary to high school and mixed aged groups in private institutes ( That was before moving to the States). What do you think would be the best way to move to Spain and start a teaching career and in what different ways could I make that move? Thank you for your time and for your nice articles too!!! Hello Cat, I enjoyed your article and especially love Nomadic Mat. One of my profession has been an Elementary School teacher 4 years in the USA and 4 years of having a tutoring service in Sayulita Mexico and I have also taught in Santa Rosa de Copan in Honduras. I have a Bachelor Degree in Elementary Education. I am now retired and have been backpacking and traveling the World for almost 3 years. I would love to travel to Spain during January or February 2017 but would love also to teach in a language school part time. Is it possible for a 65 year old female in good health to obtain a teaching job preferably outside o the major large cities? I’m nearing retirement, but very active! I am a Spanish teacher, but have my ESL Certification as well. Will this serve, or do they consider the CELTA and TEFL completely different? Also, my husband does not speak languages, nor is he a teacher. How difficult would it be for him to start from scratch or find other minimal employment? How wise/sensible do you think it is for an 18 year old to move to Spain for a year and try to find work as a teaching assistant for English? I have savings that can help me survive for the first month but would need to find a job or do loads of private classes to be able to sustain. Living and working in Spain is my passion (even if I dont want to be a teacher) and it’s something I really want to do in my gap year. Do you have any suggestions as to which cities I have a good shot at? I have a TEFL certificate btw. Hi Younes, you are considered of age in Spain, but many teaching programs have a degree as a requirement. Thank you so much for sharing such useful information. I’ll be visiting Madrid and Barcelona this fall. Figured if Madrid is all I expect, I would definitely start pursuing my teaching credentials. I’ll be checking into your blog. Life is short and there’s a whole new world to explore! I’m from India where I work as a recruiter. My family is in Seville and I plan to relocate in the next couple of months. I am keen to pursue a teaching career in Seville. Could you provide some guidance in terms of where I could get TEFL certified (Cambridge ESOL or Trinity TESOL certification) please? International House is perhaps the most highly regarded and helps with work placement if you’ve the right to work in the EU. Suerte! while travelling in India I was given the opportunity to teach Spanish in a private French school, the money was not that bad and the experience was superb!!! I think is was one of the most rewarding jobs I ever had, it even made think to become a teach but that would have stopped my by travelling… Can’t stop it! Hi. My mother, a spanish citizen, lives in sevilla. I visit her on and off. I’m actually in the process of looking for an esl job in sevilla. I’m having a difficult time. Maybe next time I go we can meet up if you are still living in sevilla. Would have loved to meet but I moved to Madrid two years ago. If you’re still in Seville, I hope you’re gainfully employed! What are the chances of a non-native speaker working or teaching in Spain? But with good teaching qualifications. There’s actually a movement for employers to consider near native/C2 speakers for jobs. It’s an uphill battle but the group is making headway. Good luck! Thanks for the post! I was wondering if you could speak more about people that come to Spain to teach without a visa. I know that generally US citizens can only stay 3 months in Spain without a visa, but I am wondering how people get around this. For example, is it possible to get a visa once already in Spain? Any other information would be greatly appreciated! Schengen stipulates 90 of very 180 days, so you would be considered “irregular” status once your 90 days is out. Suerte! I loved reading your blog! I will be going to Sevilla this May, are you still going to be there? 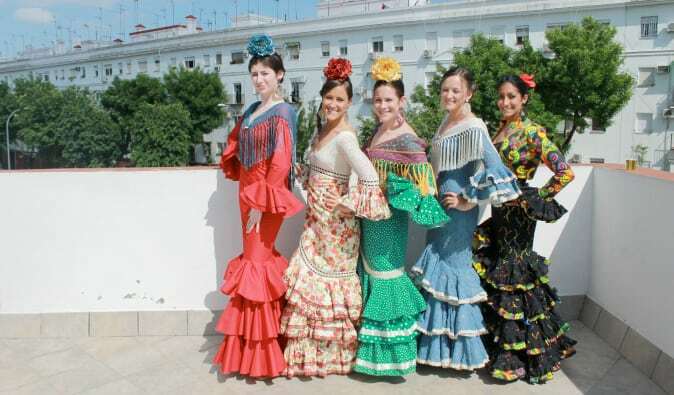 I really want to teach English Abroad with the auxiliaries program in Sevilla. I know I have to put Andalucia as my first choice, but do you have any tips on how I can get the job in Sevilla? Hi Daniela, I don’t know if you have gotten your placement for the auxiliar program, but fingers crossed you’re close to Seville. May’s just about out (sorry!) but I no longer live in Seville. Hope you had a great time! I am an elementary teacher, and on my fifth year teaching in Oklahoma. I am ready for a change, and have started the process of adding ESL to my existing certifications. I do speak semi-fluent Spanish, and have always wanted to teach in Spain, or any Spanish speaking country. I read in some of the comments to simply add a CV to LinkedIN or other websites like that. I would like to know, is it truly essential to take a TEFL course when one is already a highly qualified teacher with teaching experience? Hi Sherry, unfortunately many of the language schools are owned by people who are not necessarily education professionals, so they would look for some sort of qualification. I no longer work in the TEFL field and have moved on to higher ed, so I cannot help you with a job. My advice is always to look into American schools (mostly in Madrid, Barcelona and the Costas) to see if they can sponsor a visa. Great, insightful post! Teaching is definitely the easiest way to come to Spain to work legally. I currently work in Barcelona through a company that hires English speakers to come to Spain to teach English for 1-2 years. 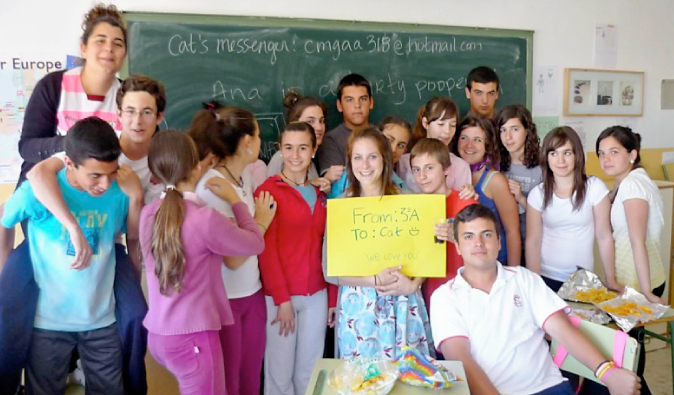 Definitely interested in reading more about your experiences teaching and living in Spain! What is the name of your blog? Do you have a teacher you know in Spain who is currently is teaching a primary class, ages 6 to 8 year olds? I am looking for some resources for my class in America. My kids are learning Spanish and would love to connect with a teacher there for resources. Please let me know if you can help. Hi Cat! This post is an enlightenment to me. It was very educational. I have been living and working in China for the past 11 years and I have a TEFL certificate. Do you have any specific website where I can check teaching jobs around Spain? Do you think I have a chance to land a job? Thanx. This is a very insightful post as many of the others have said! I have probably read it about 20 times. Teaching and living in Spain has been a dream for a number of years. I’m South African, currently living in Dublin and currently doing research on making the move over in the next year or so. I’ll reach out directly for more insight if that’s ok? Is there a site for primary teacher’s in Spain to share information and send out post?